Here I thought it was only the Sultan of Brunei that engaged in such heinous disregard for the welfare of a vehicle, a rare and special vehicle to boot. Maybe the owner died. Or is running away from the mob. Or he forgot his keys in his immense bowl of other keys for the 203921029301 other cars that he probably owns. He might've even forgot because he's senile and Jeeves forgot to remind him to take the car in for a detail. The plates are recent, but now expired, so some evidence that it wasn't completely left to die. 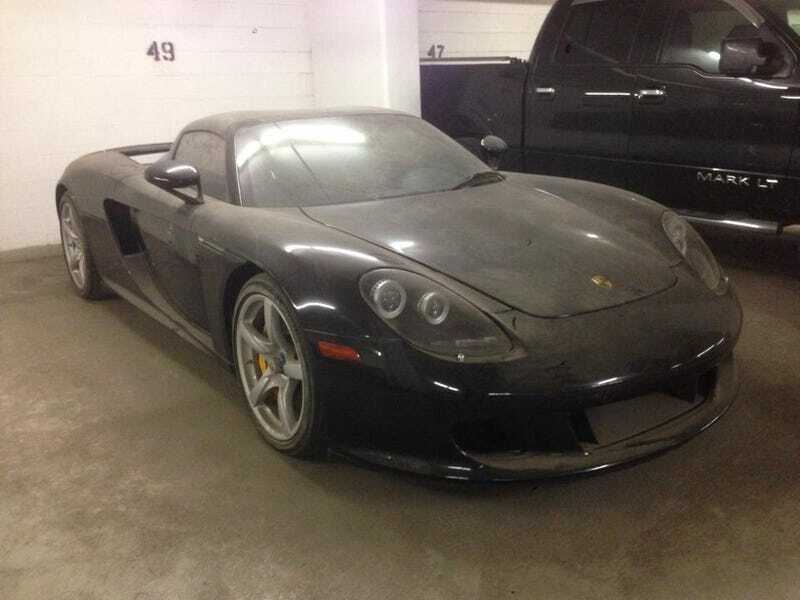 Or maybe the owner is taking after the Sultan and starting up a collection of forgotten and neglected supercars that start to go bad because they've never been driven for years. After all, Alberta is the other oil tycoon place of the world, so maybe this guy just wanted to channel some of that Middle Eastern excess into a polar habitat.